Early researchers had predicted that the Internet might help to encourage political participation through its ability to make political information more accessible. Unfortunately, disparities in Internet access made it unlikely that the Internet would have much of an impact on voter turnout. Telecommunication technology has evolved and among these new advances is smartphones, which help to increase Internet access. The purpose of this chapter is to examine this argument by exploring the relationship between smartphone ownership and voting. This topic is explored using multivariate regression analysis and individual level data from the 2012 American National Election Studies. Findings suggest that smartphones are helping to increase voter turnout through their ability to facilitate other online activities such as visiting candidate websites and taking part in political discussion through social networking sites. 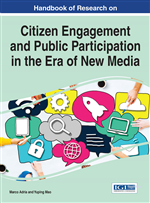 The goal of this chapter is to go beyond original research on the impact of the Internet on voting to exploreing how smartphones are being used (or not used) in political campaigns. More specifically, this study looks at how smartphones were used in the 2012 Presidential election and which demographic groups took advantage of the capacity of smartphones to participate in the election. Early studies (Bimber, 2003; Tolbert & McNeal, 2003; Mossberger, Tolbert & McNeal, 2007) explored whether changes in telecommunication technology such as the Internet might be part of the solution to decreasing voter turnout. It was thought that the Internet might help increase turnout through making political information more easy to gather. Compared to traditional media, the Internet was believed to offer a greater variety of informational sources. This combined with its flexibility and speed meant it could have a positive influence on electoral behavior through enhancing voters’ knowledge about candidates and elections. Increased political information is only one way that the Internet was thought to improve political participation. It also had the potential for promoting political discussion, which can in turn increase the sense of solidarity and belonging. While some researchers were optimistic about the potential impact of the Internet on voter turnout, others (Putnam, 2000; Norris, 2001; Mossberger, Tolbert & Stansbury, 2003; Alvarez & Hall, 2004) worried that the Internet might actually expand the gap between those who “do” and “do not” vote. These concerns were based on the “digital divide” or inequalities in Internet access and usage. Early government research (National Telecommunications and Information Administration [NTIA], 2000) found that those least likely to have Internet access were female, less affluent, older, less educated, Black, Hispanic or Native American, had mental or physical disabilities and resided in rural areas. With a few differences, these are also the same demographic and socioeconomic groups that are least likely to vote. The main exception was age; younger individuals (while less likely to vote) were among those to first embrace the Internet. Research (e.g. Mossberger, et al., 2007) on the impact of the Internet on participation provided support for concerns related to the digital divide. While this study found that the Internet was used for for political chatrooms, online news and mobilizing efforts increased the likelihood of voting, those who took part in these activities were among those already likely to vote based on demographic and socioeconomic characteristics. The one difference was age; younger voters were found to be more likely to benefit from online political activities. Since these earlier studies, both the Internet and the online population has changed. In 1998, only 19% of U.S. households had Internet access at home; by 2012 the percentage of U.S. households with Internet access had jumped to 75% (NTIA, 2014, p.4). Although the digital divide still exists, the gap between those who do and do not have Internet access is closing; suggesting that the Internet may have a greater potential for impacting a greater proportion of the American electorate. How we access the Internet and the scope of online activities has also changed. Today, society is more mobile. The U.S. is among the leaders in smartphone technology with use projected to increase to over 196 million by 2016 (Statista, 2015). In December 2014, 64% of adult Americans reported owning a smartphone (Pew Research Center, 2015). The likelihood that smartphones can be used as a tool to increase voter turnout has been enhanced by social media. Smartphones (2007) were developed during a timeframe when social media including Facebook (2004), Youtube (2005), Twitter (2006), Snapchat (2011) and others were expanding the potential of the Internet. Mobile App: A software application created to run on mobile devices. Snapchat: A mobile app that allows for the sharing of photos and videos that disappear within a short period of time. Digital Divide: A difference in Internet usage based on access and skills, linked to demographic variables including income and education. Smartphone: A cell phone with advanced capabilities. Facebook: An online social network service. Social media: Electronic communication sources that allow users to network with friends to share a wide variety of content.